I was naughty this month. I bought some maracas. That's a lie. I didn't. I bought some completely frivolous pens [yes, that's a pen party you're seeing right there] from Tiger with PINEAPPLES on the ends. YEY it's a pineapple partay, all day, every day. 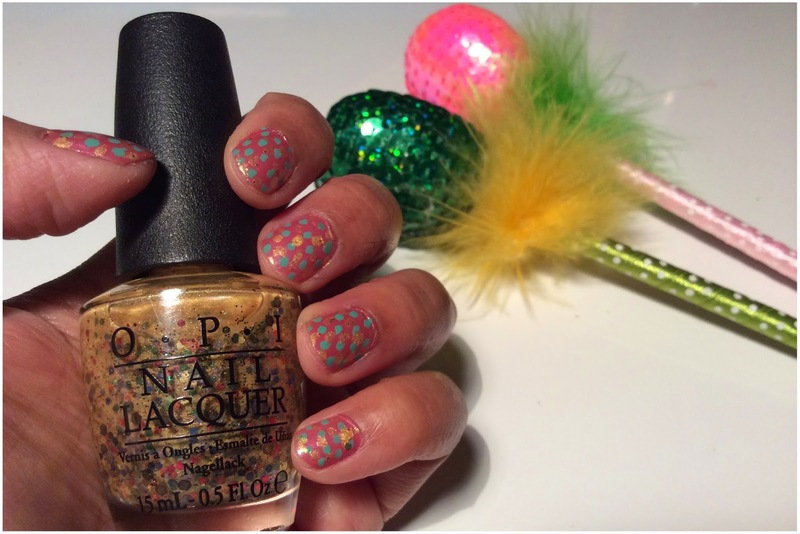 Now back to this post, I was actually naughty because I bought two new OPI polishes this month. I rarely buy them because they're quite pricey so feel like a bit of a special occasion item rather than a regular polish purchase. 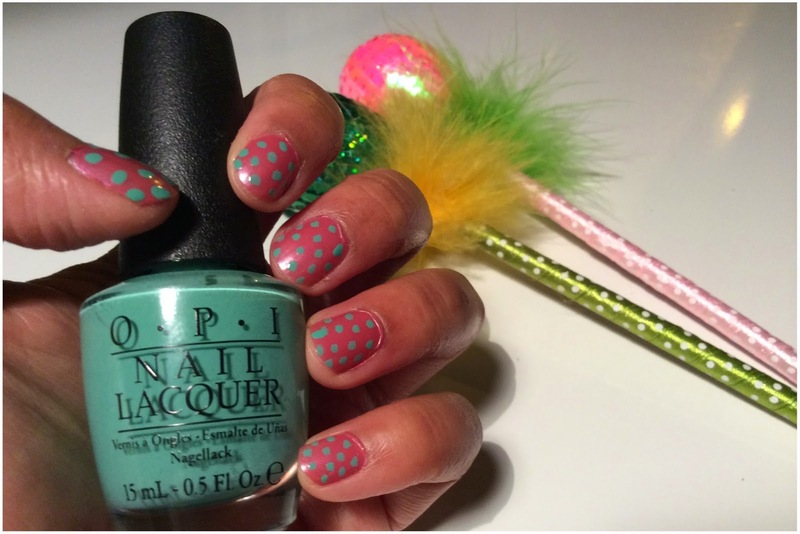 Recently, OPI have released their new Hawaii range which I just love. 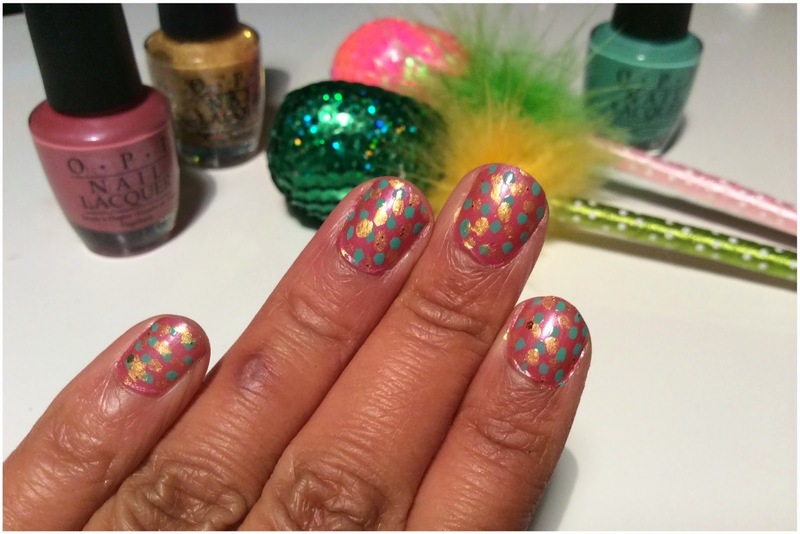 When I saw Pineapples Have Peelings Too I just had to get it and then out the corner of my eye spotted a gem from the classics range Not So Bora-bora-ing Pink - both delicious colours and I just went dotty mad. Read on to see what I created. 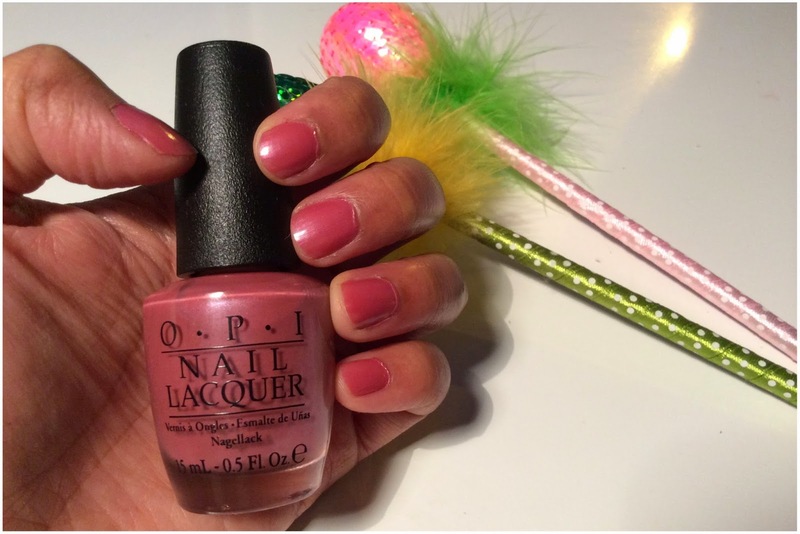 Oh, and watch this video from OPI of the Hawaii collection because it's super luscious.